We have giant robot alert! IDW Games has announced they're teaming up with Taberna Jogo to bring us Galaxy Hunters. The game is a worker-placement style game (which I love) with giant robots (which I also love). So you know I'll be paying attention to where this one's headed. IDW Games and Taberna Jogos announces Galaxy Hunters, a game of giant robots and massive monsters. This sci-fi worker placement game puts players in the role of mercenaries hired by Megacorps to hunt and harvest rampant mutations. 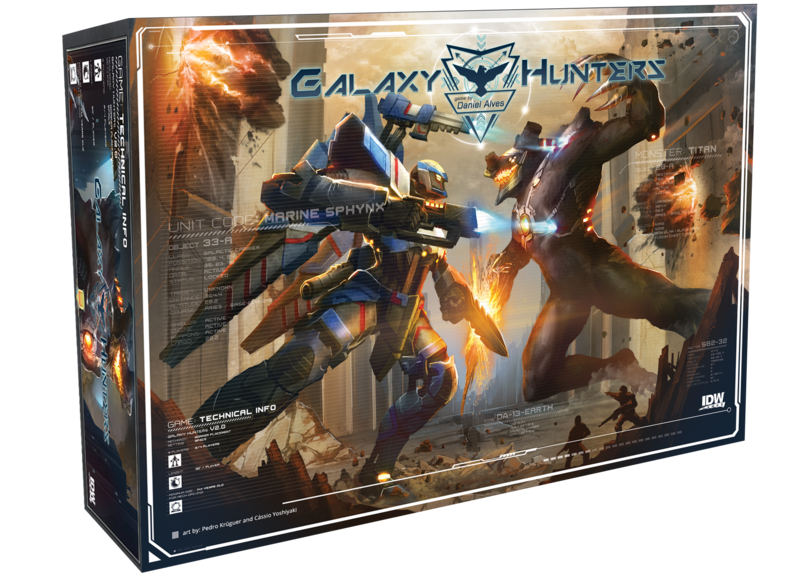 Featuring an inventive pilot and mech combination system that unlocks new abilities and powers, Galaxy Hunters is a blend of crafting a unique character with the strategy of euro-game style worker placement. Designed by Daniel Alves, Galaxy Hunters lets 2-4 players dive deep into piloting their mech to fight against giant monsters and harvest the beasts for resources and money. 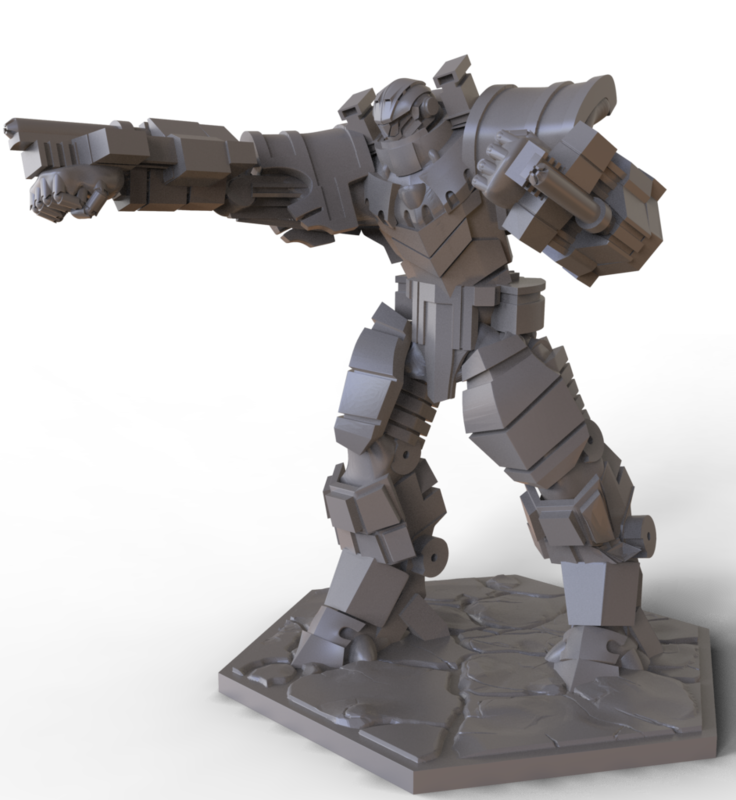 Players upgrade their mechs with new weapons and items, giving them the ability to personalize their mech’s combat style while facing increasingly difficult monster mutations. It will take the galaxy’s best weapons, armor and wits in order to become the most renowned Galaxy Hunter. The game includes 4 Mega Mech figures, 14 ship miniatures, 4 player boards and a whole galaxy of cardboard tiles and game elements.